1995- 1997 International Islamic University Malaysia (IIUM) Deputy Dean of IIUM-KUSZA Matriculation Prog. Assoc. Prof. Dr. Mohamad Akram Laldin and Dr. Hafas Furqani. “Developing Islamic Finance in the Framework of Maqasid al-Shari’ah: Understanding the Ends (Maqasid) and the Means (Wasa’il)”. Presented at the International Islamic Finance Conference 2013, organized by Emerald, at Park Hyatt Hotel, Abu Dhabi, April 14th-16th 2013. Assoc. Prof. Dr. Mohamad Akram Laldin and Dr. Hafas Furqani. ” The Development of Islamic Finance: Reflecting the Achievement and Direction”. Presented at the 9TH International Conference on Islamic Economics and Finance (ICIEF) 2013, organized by IRTI – IDB & SESRIC – OIC, at Wow Convention Centre, Istanbul, Turkey, 9-10 September 2013. Assoc. Prof. Dr. Mohamad Akram Laldin and Dr. Hafas Furqani. (2013). “Developing Islamic Finance in the Framework fo Maqasid al-Shari’ah: Understanding teh Ends (maqasid) and the Means (Wasa’il)”. International Journal of Islamic and Middle Eastern Finance and Management, Vol. 6, No. 4, pp. 278-289. Assoc. Prof. Dr. Mohamad Akram Laldin and Dr. Hafas Furqani. (2013). “The Foundations of Islamic Finance and the Maqasid al-Shari’ah Requirements”, Journal of Islamic Finance (IIUM Institute of Islamic Banking and Finance), Vol. 2 No. 1, pp. 31-37. Assoc. Prof. Dr. Mohamad Akram Laldin & Dr. Hafas Furqani. (2012). The Approaches and Directions in Islamic Banking and Finance Development. Australian Journal of Islamic Banking and Finance, 1 (1), 103-116. Assoc. Prof. Dr. Mohamad Akram Laldin and Dr. Hafas Furqani. “The Objectives of the Shari’ah in Islamic Finance: Understanding the Ends (Maqasid) and the Means (Wasa’il)”. NewHorizon, April-June 2013. Assoc. Prof. Dr. Mohamad Akram Laldin and Dr. Hafas Furqani. ” Harmonisation in Islamic Finance: Reasons and Dimensions”. ISRA Bulletin, December 2013. Oct’15 – Dec’16: Deputy CEO & Vice President (Marketing), MYBAZAR. 1991 – Assistant Lecturer at the Department of Islamic, Revealed Knowledge, International Islamic University, Malaysia. 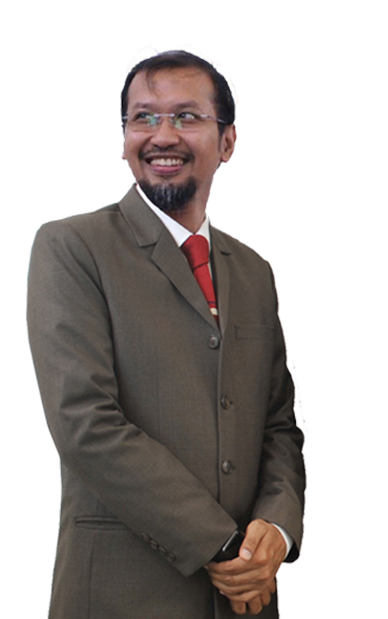 1999 – Assistant Professor at the Department of Fiqh and Usul al-Fiqh, International Islamic University Malaysia. 2003 – Associate Professor at the Department of Fiqh and Usul al- Fiqh, International Islamic University Malaysia. 11/2006 – 08/2007Fellowship Award: Visiting Research Fellow (Chevening Fellowship Programme, administered by British Council) at Oxford Centre for Islamic Studies, United Kingdom. 11/2010 – present Member, Shari’ah Advisory Council, Bank Negara Malaysia. 01/2012 – present Member, National Fatwa Council, Malaysia. 07/2012 – present Member, Shari’ah Advisory Council, Securities Commission of Malaysia. 10/2012 – present Chairman, Shari’ah Committee, Bursa Malaysia. 03/2012 – present Registered Shari’ah Adviser, Securities Commission of Malaysia. 07/2007 – 01/2011 Shari’ah Consultant/Advisor* for Al Rajhi Banking & Investment Corporation, Malaysia. 06/2008 – 02/2011 Shari’ah Consultant/Advisor* for ACR Retakaful MEA, Bahrain. 06/2008 – 02/2011 Shari’ah Consultant/Advisor* for ACR Retakaful SEA, Malaysia. 01/2009 – present Shari’ah Advisor* for Association of Islamic Banking Institutions Malaysia. 06/2007 – present Fellow, Islamic Banking and Finance Institute Malaysia. 06/2007- present Shari’ah Advisor* for ZI Shari’ah Advisory Services Sdn. Bhd., Malaysia. 01/2010 – present Shari’ah Advisor* for Securus Data Centre, Singapore. 09/2010 – present Shari’ah Advisor* for Sabana REIT, Singapore. 04/2005 – 07/2007 Shari’ah Consultant/Advisor* for Alliance Bank Group Malaysia. 09/2005 – 06/2008 Shari’ah Consultant/Advisor* for Takaful Malaysia. 09/2005 – 06/2008 Shari’ah Consultant/Advisor* for Asean Retakaful International Limited. 2006 – 2007 Shari’ah Consultant/Advisor* for Amana Takaful, Sri Lanka. 12/2005 Expert witness for Royal Commission of Inquiry into the Standard Operating Procedure, Approaches or Regulations in The Handling of Body Search in Connection with Arrest and Detention by the Police. Ashraf Md. Hashim, ‘Kaedah Perlaksanaan Hukuman Sebat di Dalam Islam’, (The Execution of Whipping Punishment Under Islamic Law), Jurnal Syariah, University of Malaya, Vol. 8, No. 2, July 2000, pp. 1-14. Ashraf Md. Hashim, ‘Investigation: Between the Privacy Right of the Suspect and the Interest of the Society’, Korea Journal of Islamic Culture, Korea Institute of Islamic Culture, Vol. IV, Dec. 2000, pp. 59-74. Ashraf Md. Hashim, “Tahap Pembuktian di Dalam Kes-kes Jenayah: Kajian Perbandingan Antara Undang-undang Islam dan Sivil”, (Level of Proof in Criminal Cases: A Comparative Study Between Islamic Law and Malaysian Law), Jurnal Syariah, University of Malaya, Vol. 9, No. 2, July 2001, pp. 13-32. Ashraf Md. Hashim, ‘The Rights of the Accused to Compensation’, Hamdard Islamicus, Vol. XXV, April-June 2002, pp. 59-72. Ashraf Md. Hashim, ‘Condition of al-Hirz in Stealing: A Contemporary View’, al-Tajdid, Research Centre, International Islamic University Malaysia, Issue No. 12, August 2002, pp. 147-166. Ashraf Md. Hashim, ‘The Concept of Competition and Award in Islam”, Arab Law Quartely, 2003, pp. 309-325. Ashraf Md. Hashim, “Body Search from the Perspective of Islamic Law”, Shari’ah Law Reports,  3 ShLR, pp. 1 -17. Ashraf Md. Hashim, “The Collection of Waqf through Insurance Companies: A Critical Analysis of the Malaysian Experience”, Review of Islamic Economics, Vol. 11 No. 1, 2007, pp. 63 – 74. Ashraf Md. Hashim, “Credit Card from Islamic Perspective: A Suggested Solution”, 2008, completed and submitted for publication. Ashraf Md. Hashim, “Globalisation and the Process of Localisation in Islamic Banking and Finance: Malaysia as a Case Study”, Hamdard Islamicus, April-June 2011, Vol. XXXIV No 2, pp. 7 – 28. Ashraf Md. Hashim and Shabana M Hasan, “Prospects and Outlook of Islamic Wealth Management: Post Global Financial Crisis”, 2013, Q Report, Issue No. 2, pp. 22 – 27. Ashraf Md. Hashim, “Floating Debenture from Islamic Perspectives”, an ongoing research. Ashraf Md. Hashim, Mohamed Fairooz Abd Khir and others, ‘Parameter Hiyal dalam Kewangan Islam’, (The Parameter of Hiyal in Islamic Financial System), ISRA Research Paper No. 23/2011, 70 pages. Ashraf Md. Hashim and Eqhwan Mokhzanee Muhammd, ‘Pioneering Thoughts on Commodity Hawalah: Facilitating the Trading of Debt’, ISRA Research Paper No. 26/2011, 18 pages. Ashraf Md. Hashim, “Rights of Suspect and Accused under Islamic and Malaysian Law”, (International Law Book Services, Kuala Lumpur, 2004), 177 pages. Syed Sikandar Shah and Ashraf Md. Hashim, “Islamic Law of Worship”, (Research Centre, International Islamic University Malaysia, Kuala Lumpur, 2009), 170 pages. Ashraf Md. Hashim, “Husn al-Zann dan Kepentingannya Kepada Pengukuhan Gerakan” (The Importance of Husn al-Zann towards Strengthening a Movement) in Politik Melayu & Penyatuan Ummah (Malay Politic and the Unity of Ummah), (Angkatan Belia Islam Malaysia, Kuala Lumpur 2002) pp. 55-63. Ashraf Md. Hashim and Ammar Fadzil, “Yusoff Zaky Yacob’s Contribution to Islamic Studies in the Malay World” in Monograph on Selected Malay Intellectuals, (Research Centre, International Islamic University Malaysia, Kuala Lumpur 2003), pp. 283-314. Ashraf bin Md. Hashim, “Shariah Contracts for Islamic Financial Instruments – Part 2” in Islamic Financial System: Principles and Operations, (ISRA, Kuala Lumpur 2011), pp.243-296. Ashraf Md. Hashim, ‘Gunakan Ilmu Hiasi Rumah’, (Decorating House with Knowledge) Anis, March 2001, pp. 32-33. Ashraf Md. Hashim, ‘Bohong Sunat Dalam Islam’, (Recommended Lying in Islam) Cermin, May 2001, pp. 29-33. Ashraf Md. Hashim, ‘Kejayaan Wanita”, (The Success of Women), Ibubapa, August 2001, pp. 24 – 25. Ashraf Md. Hashim, ‘Hukum Makanan Dalam Islam’, (Food in Islam), Al-Islam, January 2004, pp. 52-54. Ashraf Md. Hashim, ‘Lelaki Baik Tidak Kahwin Perempuan Jahat’, (Good Men will not Marry Bad Women), Cermin, January 2005, pp.14-17. Ashraf Md. Hashim, ‘Isu Pensijilan dan Pemakaian Logo Halal’, (Issue on Halal Certificate), Demi Masa, May 2005, p. 4. Ashraf Md. Hashim, ‘Hutang Organisasi’, (Organisational Debt), Mingguan Malaysia, September 10, 2006, p. 9. Ashraf Md. Hashim & Eqhwan Mokhzanee bin Muhammad, ‘Sukuk Alim-Innovation in Simplicity’, ISRA Bulletin, October, 2010. Ashraf Md. Hashim, Ju’alah (Commission) from Shariah Perspective, Malaysian ICM (a bi-annual bulletin of Malaysian Islamic Capital Market, Securities Commission Malaysia), Jan-June 2012, Vol. 7, No. 1, pp. 10-15. Master’s from IIUM in 1998. Thesis title: Time-Space Dimension and its Impact in Dealing with Islamic Legal Texts. FIDE Board of Directors Core Programme Module A&B, year 2015. ICLIF Shariah Leadership Programme (Banking Module), year 2015. ICLIF Shariah Leadership Programme (Takaful Module), year 2016. Winner of the Lamya al-Faruqi Award for Academic Excellence, 1999, organized by International Institute of Islamic Thought & International Islamic University Malaysia. Director | RDI and Associate Professor at INCEIF. Since 2009. Chairman of Shari’ah Committee of Affin Islamic Bank since March 2008. Member of Shari’ah Committee of MNRB Retakaful since April 2011. Member of Shari’ah Committee of the Central Bank of the Sultanate of Oman since January 2015. Registered Shariah Adviser with Securities Commission Malaysia since March 2012. Member of Shari’ah Committee of ISRA Consultancy institute. Since April 2011. Editor-in-chief of ISRA International Refereed Journal for Islamic Finance. 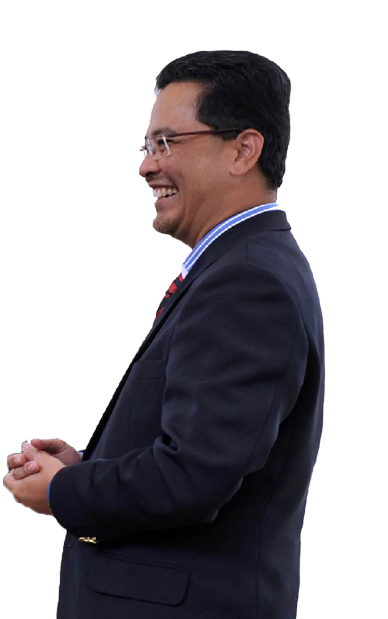 Independent and non-executive director Affin Islamic. Member of Shari’ah Committee of Affin Islamic Bank since March 2008. Registred Shariah Adviser with Securities Commission Malaysia since March 2012. Islamic Legal Maxims for Islamic Finance. International Shariah Research Academy for Islamic Finance Malaysia.under process of publication at ISRA. 2013. Maqasisd al-Shariah for Legal Purposes. Co-author with Dr Halima Boukerrocha. Research center International Islamic University Malaysia. 2012. ISRA Compendium of Islamic Finance. International Shariah Research Academy for Islamic Finance. 2010. (Project Principle Researcher). Edited the book Prof Monzer Kahf: Fundamentals of Islamic Finance. Published by ISRA 2011. The Orientalists’ Perception of the Quran and Sunnah, Malaysia Dar At-Tajdid, 2004 (Co-Author). Time-Space Dimension and Its Impact in Dealing with Islamic Legal Texts, Jordan: Dar al-Nafa’is and Malaysia: Dar al-Fajr, 1999. Published also by Dar at-Tajdid. Year of publication 2002. General Shariah Principle Related to Islamic Capital Market. Book title: “Islamic Capital Market”. Publisher, Securities Commission Malaysia 2015. Islamic Banking and the Future Prospects of Islamic Financial Engineering. Book title: “Islamic Transactions and Finance: Principles and Developments”, Publisher, International Institute of Advanced Islamic Studies (IAIS) Malaysia 2013. Shariah Contracts for Islamic Financial Instruments. Book title: Islamic Financial System: Principles & Operations. Publisher, Pearson and International Shariah Research Academy for Islamic finance, 2011. The Foundations of Mediation in Islamic Law and its Contemporary Application. Publisher, Lexis Nexis, 2010. Methodology of Islamic Legal Opinion (Fatwa) According to Al-Imam Al-Shawkani. Publisher, University Science Islam Malaysia year 2008. Child Protection in Islamic & Malaysian Law: Orphans and Foundlings as a Case Study. Publisher, UAE Awqaf & the Foundation for the Affairs of Minors, 2007.